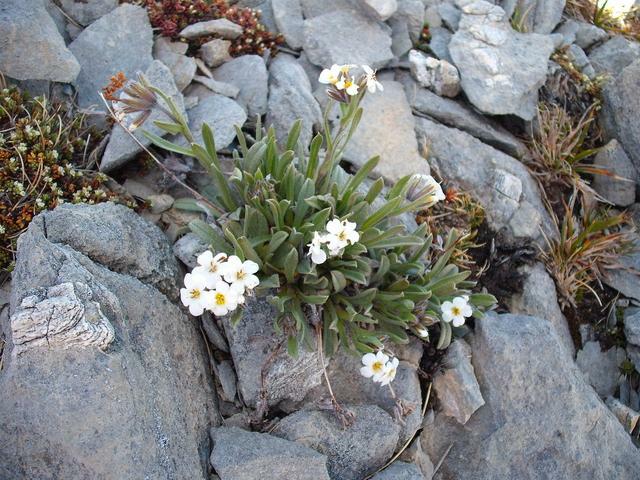 Did you know that 32 of New Zealand’s 44 native forget-me-not species are under some level of threat? 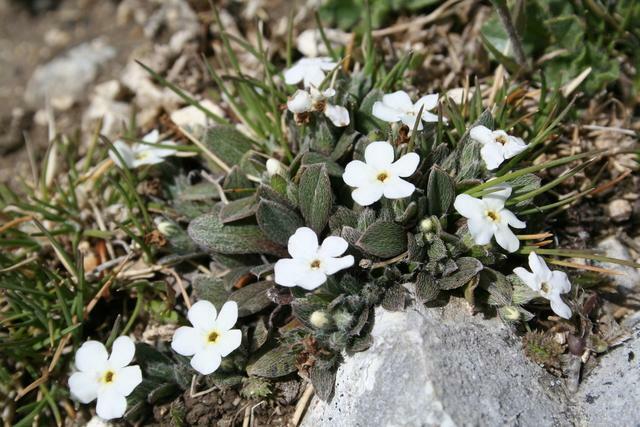 Myosotis colensoi, photo by Heidi Meudt, copyright Te Papa. That’s a whopping 75%! Sixteen of those species are in the “Threatened” category and another 16 are in the “At Risk” category of the New Zealand Threat Classification. Because such a high percentage of native forget-me-nots (genus: Myosotis) are threatened or at risk, establishing how many species we have in New Zealand, and clarifying how to distinguish them from one another, are two of our top research priorities. Over the past several years, Te Papa Botany researchers have collected many new forget-me-not specimens for our research. Several of these can be seen on Collections Online. However, with the exception of type specimens, catalogue records for formally threatened species are not published to Collections Online, in order to safeguard the locations of these rare plants. Myosotis angustata. Photo by Carlos Lehnebach, copyright Te Papa. As a consequence, the photographs we have taken in the field of threatened forget-me-nots have unfortunately not been available to the public… Until now! Turns out we have taken photos of 13 of the 16 threatened New Zealand forget-me-nots! Have a look for yourself. By releasing these photos, we hope to raise awareness about these beautiful and unique species, and the research being done on them at Te Papa.